St. Joseph High School juniors Autumn Davis (left) and Elizabeth Chandler present Life Choices, Inc. Officer Manager Kayla Plante with some of the many coin-filled baby bottles they delivered to this pregnancy counseling center on March 26. 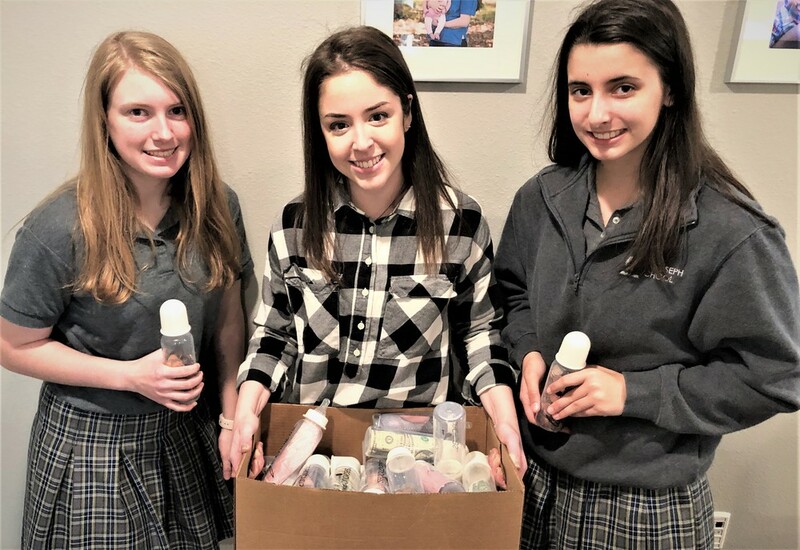 The money was collected from the many St. Joseph students who support the organization's "Change for Life" fundraising campaign. It's directed towards helping underwrite such Life Choices services as free pregnancy tests, ultrasound confirmations, and answers to questions about abortion, parenting, and adoption.